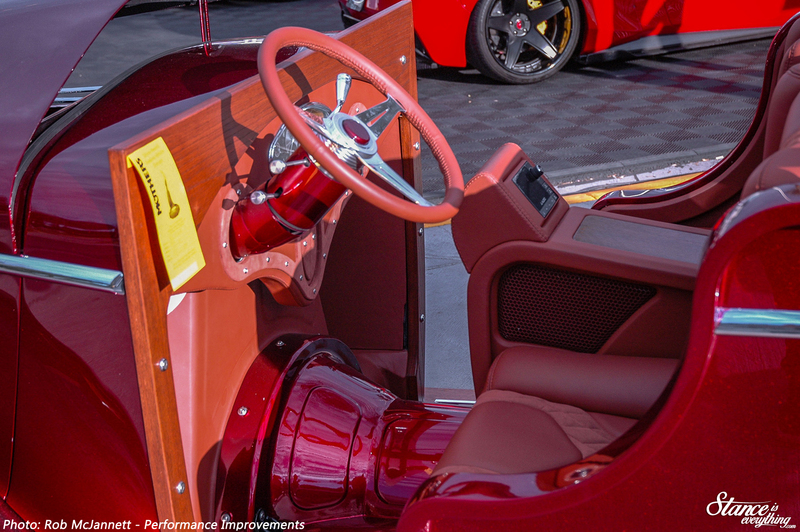 Standing out at SEMA is no easy task, and something people go to great lengths to achieve. 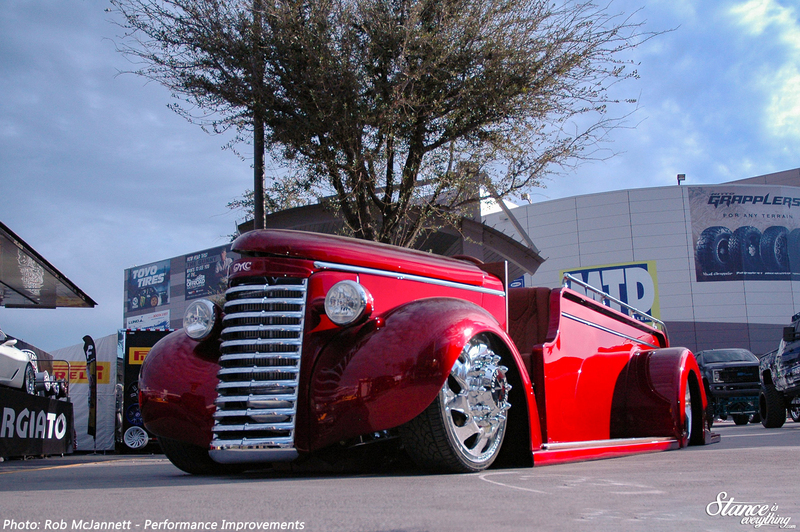 These lengths often result in heavily modified commercial vehicles; ambulances, campers, and fire trucks are just a few of the more atypical vehicles to get hot-rodded for the spectacular Vegas show. At first glance this truck appears to be a heavily modified classic GMC fire truck and while it is, it also isn’t all at the same time. 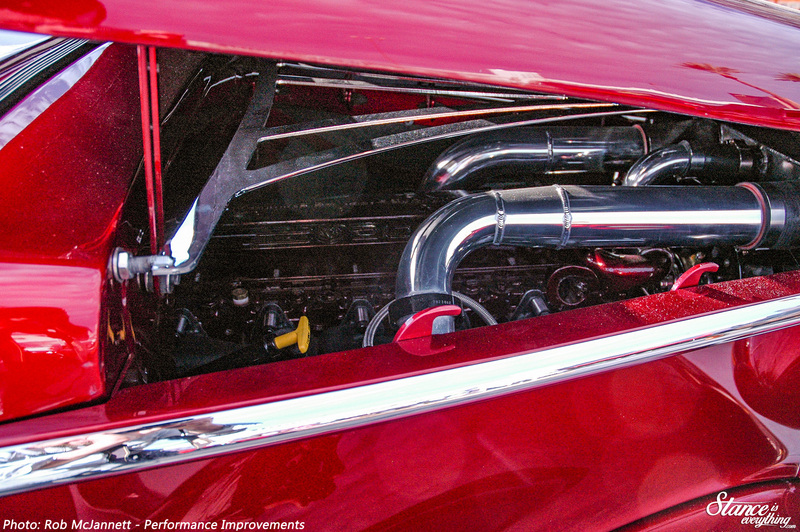 Nick McDonald, of Wicked Welds Custom Shop, did start the project with a ’39 GMC fire truck but instead of using that sheet metal as a starting point he built a body of his own. Yes, all of the panels on this truck are hand formed, and overall 98% of this truck was built from scratch. It’s almost a shame that the body work is done so well because, had it been left raw, I imagine more people would have picked up on the fact that it isn’t the same one it rolled off the lot with. 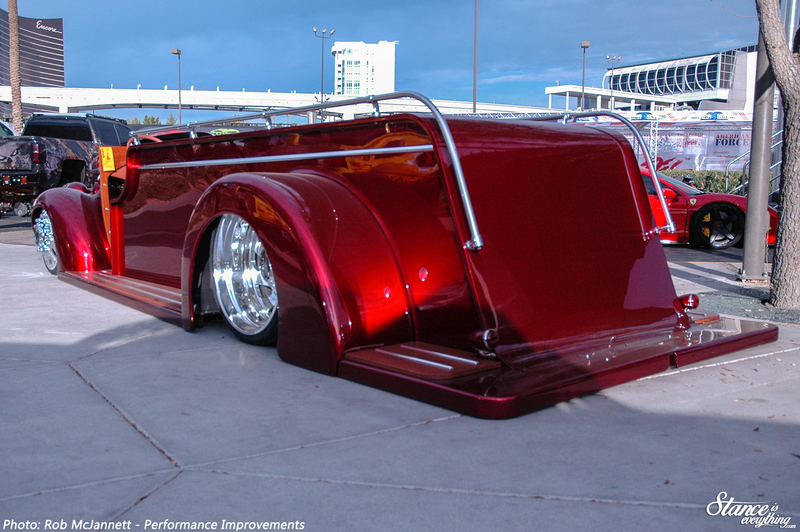 The flawless metal work is covered by paint work done by Danny D, and deep red is no doubt a suggestive throwback to the vehicles roots. 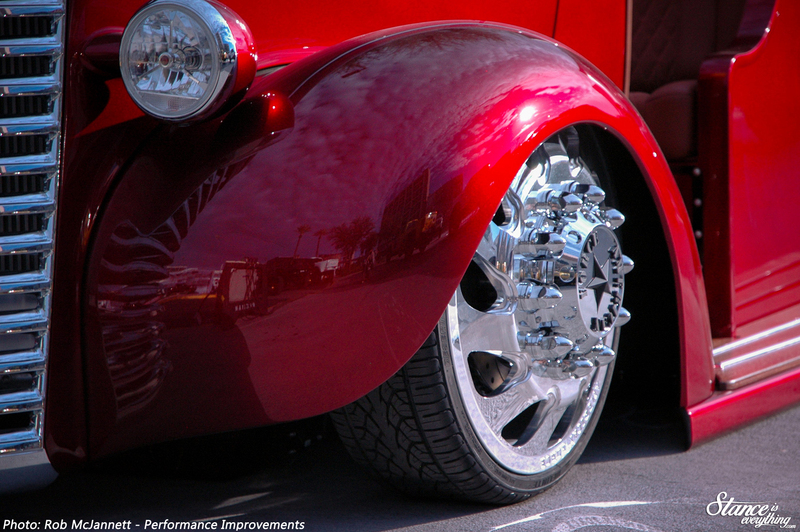 To get as low as it does over the 24/26 American Force wheels, the truck is on a custom chassis. The chassis is entirely smoothed and powder-coated. It also features custom upper and lower control arms, a killer watts link. 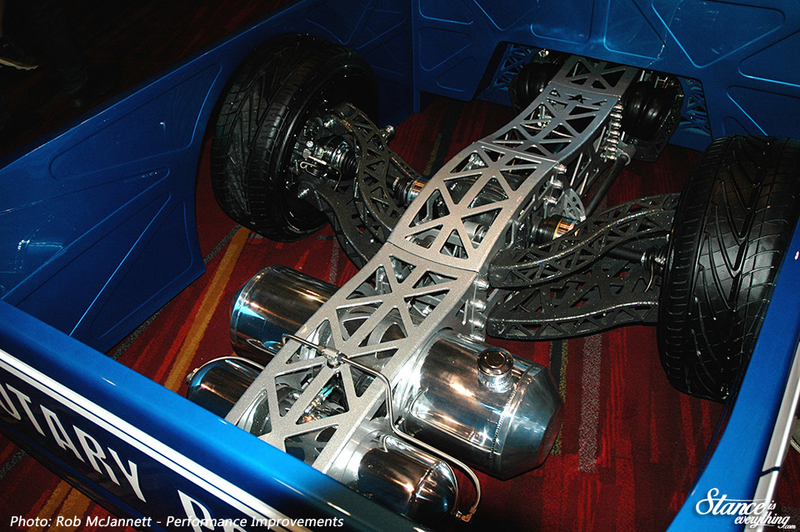 The chassis being a work of art makes sense because that is just what Wicked Weld Custom Shop does. For those of you with a keen memory yes, they did do this Mazda last year. 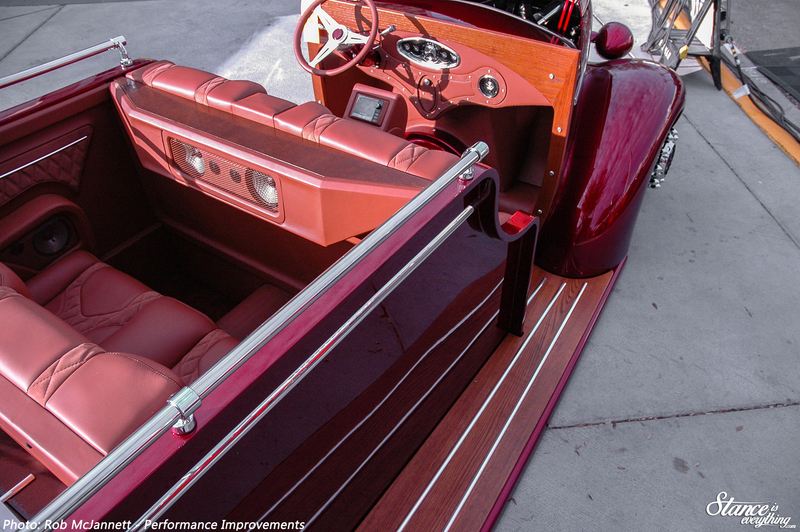 Inside, a second bench was added to make it a four-seater before a leather custom interior was installed. The windshield, and frame, will actually make their way back into the picture, currently however they are just current victims of the infamous ‘SEMA Crunch’. Behind the custom one piece grill is a 5.9 Cummins motor that mates up with a narrowed Dana 60 rear end. The combination should pull this big truck down the street with no problems what so ever. Want more? Well there’s a number of progress pictures on The Wicked Welds Custom Shop Instagram account, I also imagine there’s plenty more features on this truck to come. I mean it’s already had two teasers features prior to its completion.